The very real threat of global warming is encouraging more and more people to explore what might be done in a practical way. Responding to this need, a voluntary group Glounthaune Sustainable Energy Community has succeeded in completing a detailed energy usage study of the Glounthaune area just outside Cork city. Supported by the Sustainable Energy Authority of Ireland (SEAI), an Energy Master Plan has been commissioned and recently completed. The plan will be launched at an Energy Day to be held on Saturday 9th February 2019 at the Elm Tree in Glounthaune from 11am to 3pm. The Energy Day will also feature information stands on home grants, professional installers and will have a number of electric cars available on the day for test drives. Also present will be a Young Scientist award winner from Carrigtwohill with a project on solar panels. Conor O’Brien, Sustainable Energy communities mentor for County Cork, Ailbe Ryan, chairman of Glounthaune Sustainable Energy community and Xavier Dubisson, Sustainable Energy consultant, at the launch of the Glounthaune Energy Master Plan, promoted by the Glounthaune Sustainable Energy community, at the Elm Tree in Glounthaune, Co Cork. 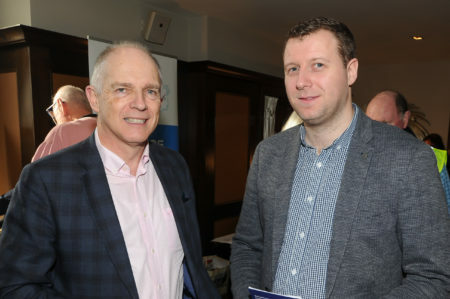 David Stanton TD, minister of state for Equality, Immigration and Integration, chatting with Cllr Padraig O’Sullivan, at the launch of the Glounthaune Energy Master Plan, promoted by the Glounthaune Sustainable Energy community, at the Elm Tree in Glounthaune, Co Cork. 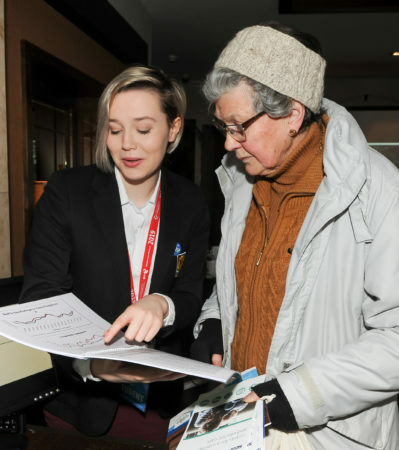 Lena Ui Dhubhghaill from Glounthaune, getting some information from Ava Kate Beausang from Shanagarry, who was an award winner at the BT Young Scientist 2018, at the launch of the Glounthaune Energy Master Plan, promoted by the Glounthaune Sustainable Energy community, at the Elm Tree in Glounthaune, Co Cork. 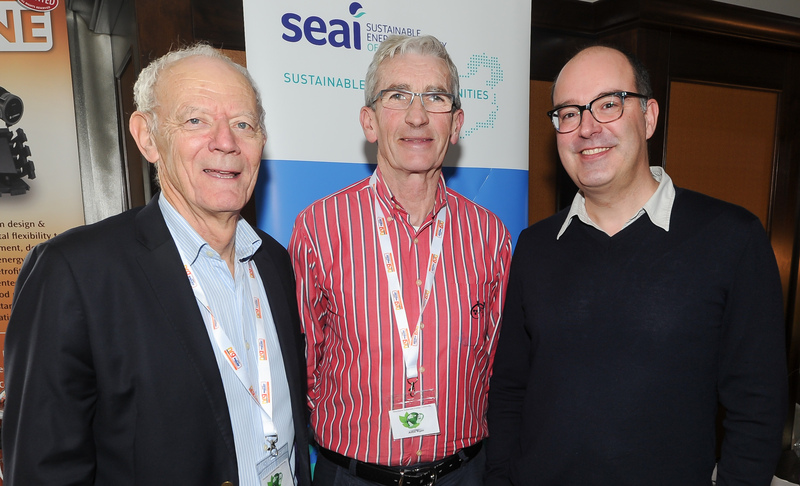 Glounthaune Sustainable Energy Community (SEC) was sponsored by Glounthaune Tidy Towns and was set up in 2017 under the chairmanship of Ailbe Ryan. During 2018 the Glounthaune group signed up as formal partners with SEAI and was able to avail of dedicated funding for the Energy Master Plan. There are now 236 Sustainable Energy Communities nationwide with 22 SECs in County Cork, an increase of almost 100% since 2017. The SEC approach is to harness community based interest in increasing awareness of energy efficiency and promoting practical bottom-up approaches to stimulate appropriate action in energy reduction measures. The SEC process also provides a pathway towards increasing local knowledge of energy reduction and renewable energy matters. SEAI facilitates this community approach by free mentoring support from an expert pool. Glounthaune Sustainable Energy Community leads the way in Cork with the first completed Energy Master Plan funded by SEAI. The Energy Master Plan identifies the main ways energy is used in the area and suggests ways of reducing it and using renewable energy. A listing of the optimal measures which could be implemented has also been produced, the so-called register of opportunities. It provides an action plan based on the actual local situation as a practical pathway for accelerating progress over the near future as a step towards minimising global warming.